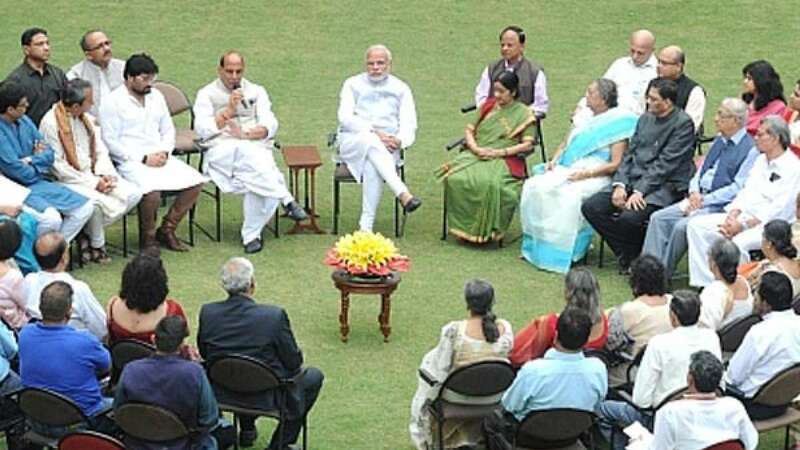 New Delhi : Prime Minister Narendra Modi on Wednesday met family of Subhash Chandra Bose on Wednesday evening. The meeting concluded with an assurance to declassify Netaji’s files in public. The process will start from Netaji’s birthday – January 23, 2015. “I see no reason to strangle history. Process of declassification of files relating to Netaji will begin on Jan 23rd, Netaji's birthday,” said PM Modi. “I told Subhas Babu's family members- please consider me a part of your family. They shared their valuable suggestions with me,” PM tweeted. He also assured that files from foreign land will also be attempted for declassification. “Will also request foreign Governments to declassify files on Netaji available with them. Shall begin this with Russia in December,” PM wrote on Twitter.